Fosters Furniture. 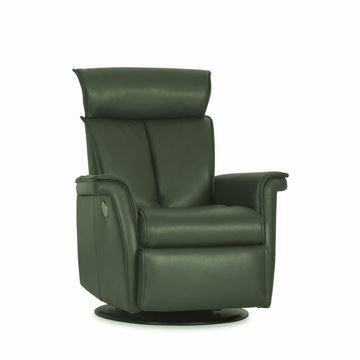 IMG Luc RM284 Motorized Recliner in stock and on sale. The LUC RELAXER by IMG. Click here to view the schematic and technical information sheet. The control module for the Luc in stock recliner features an open/close button, and the entire piece is made of brushed steel. 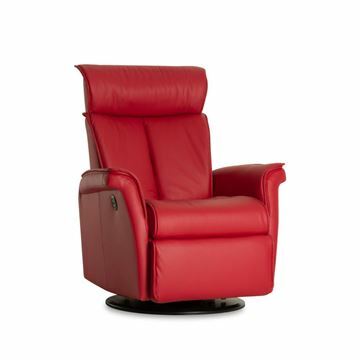 The Peak Large Recliner by IMG Comfort. 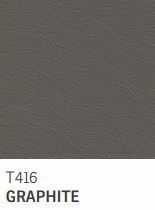 IN STOCK WITH ESPRESSO WOOD FINISH AND IN TWO LEATHER COLORS!! The Peak features a truly unique wood element, enhanced by open sides. The combination gives the overall chair a modern and sophisticated appeal. The wood elements are topped with a plush arm pad, offering great comfort when resting. Please see below for more details, sizes, and options. 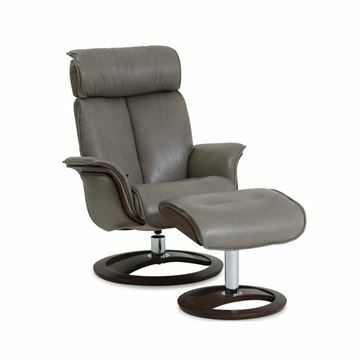 The Space 55.55 Chair and Ottoman by IMG Comfort. 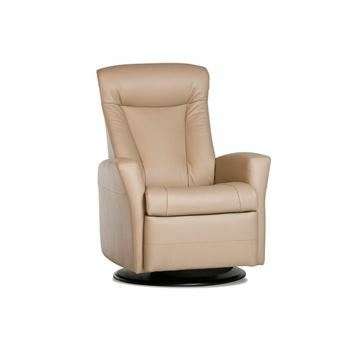 The ergonomic curvature of the back and telescoping/tilting headrest make this design extremely comfortable. 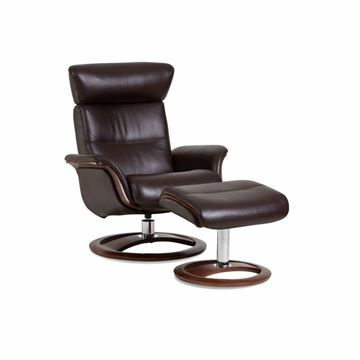 The Space chair and ottoman features a gently curved wood base element, forming the shape and foundation for both the chair as well as the ottoman. We are able to combine different covers and wood finishes to perfectly match the overall look to your room. Space is a sophisticated and beautiful modern adaptation of a classic mid-century modern design. Please see below for more details, sizes, and options. The Space 58.58 Chair and Ottoman by IMG Comfort. Customize it your way! 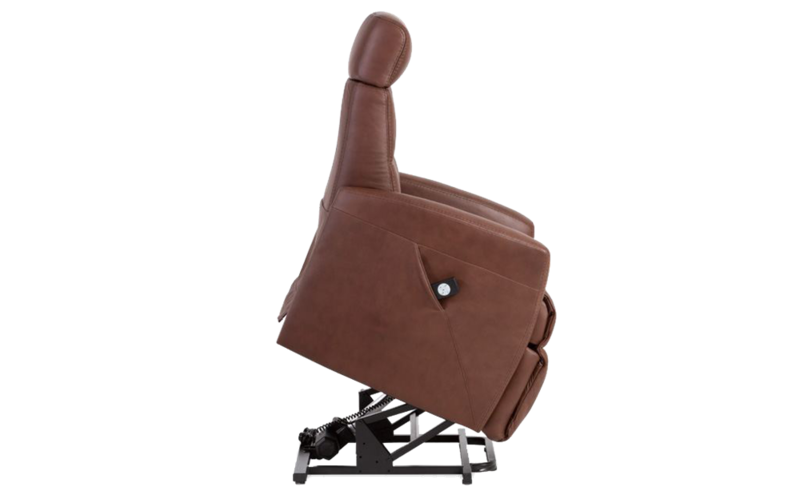 The seat and back are ergonomically shaped for supreme comfort. The Space features a gently curved wood frame lower element, forming the shape and foundation for the chair. The same design concept carries through to the ottoman. The vertical center seam in the back cushion forms a natural ergonomic cushion designed to allow a deeper more enveloping sit in the chair. We are able to combine different covers and wood finishes to perfectly match the overall look to your room, and can help you to make selections if you'd like us to. Space is a sophisticated and beautiful modern adaptation of a classic mid-century modern design. Please see below for more details, sizes, and options.